Why Isn’t My Street Ploughed? This article is 3021 days old. In light of the recent snowfall, I wanted to pass along some information about how the city deals with snow accumulation. This information is available on the city’s website. Main routes are salted and/or ploughed once snow begins to fall and accumulate. There are currently 21 main salter/plough routes consisting of roads classified as Expressway, Arterial, and Collector as defined by the City of Windsor Official Plan. These routes also include fire/hospital emergency routes and Transit Windsor bus routes. If accumulation exceeds 10 centimetres (4 inches) during a snowfall, salting may cease temporarily and ploughing be utilized, as appropriate for the conditions. Also, if the temperature is below -12°C (10°F) during a snowfall, salt begins to lose its effectiveness and depending upon the snow accumulation salting may cease temporarily and ploughing be utilized, as appropriate for the conditions. The average cost for Winter Control on main routes during the normal workday is $12,000 per hour. Streets are salted and/or ploughed in the vicinity of schools during the normal workday once main routes have been cleared. Intersections are salted and/or ploughed when conditions warrant. (Average time/cost for all intersections: 8 hours – $96,000). 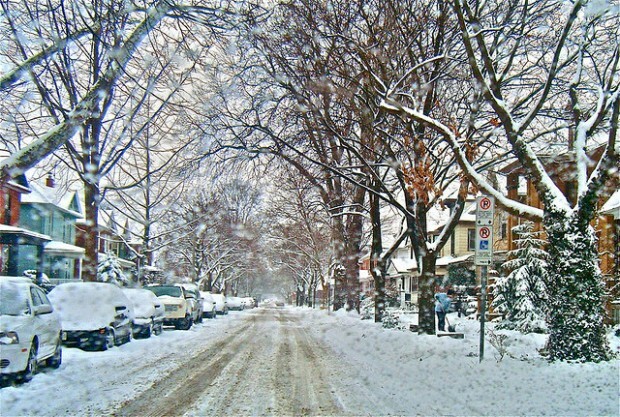 Residential streets are ploughed when accumulation exceeds 10 centimetres (4 inches), once main routes have been cleared. (Average time/cost all streets: 24 hours – $300,000). Snow is cleared during the normal workday from overpasses and underpasses and from intersection corners in all business areas by available employees. Service levels may be amended, as conditions require. Removal of major accumulations of snow along curbs in the business areas may be considered, as conditions require. Inquiries regarding the enforcement of the snow clearing by-law on City sidewalks, are handled by By-law Enforcement Officers, Corporate Services. Visit By-laws Online for access to the Snow Removal By-law #8544.